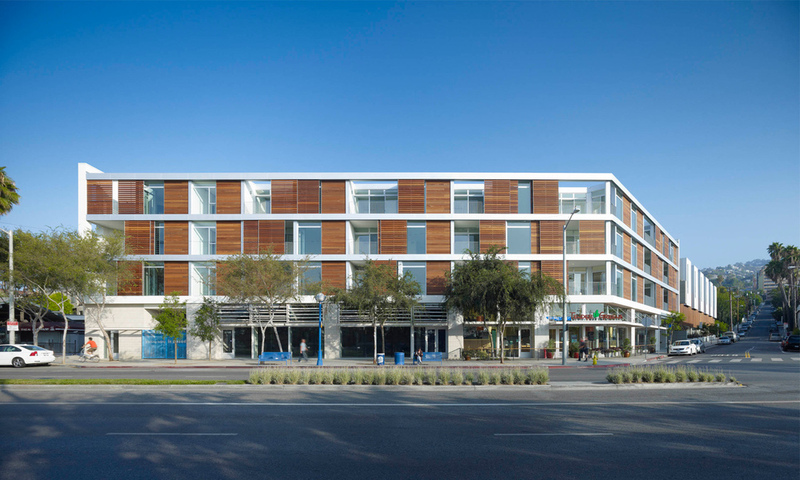 A mixed-use development achieved through a public-private partnership with the City of West Hollywood. An extensive community process resulted in establishing the 133,476sf program for this prominent urban site. Uses include subterranean public parking, street level retail, restaurant and affordable rental housing with residential parking, one story and townhouse style condominiums and a roof-top pool above.